The Innisfail Merchants secured their second junior AAA title at home with a 13-7 victory in the finals. Congratulations to Cammi Miller our latest "Chase the Ace" winner. Cammi took home $18,639 in our biggest jackpot to date. 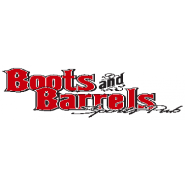 Thank you to the staff and owners of Boots and Barrels for all of your help during our fundraiser, and much appreciation to everyone for their continued support of junior baseball in Innisfail.